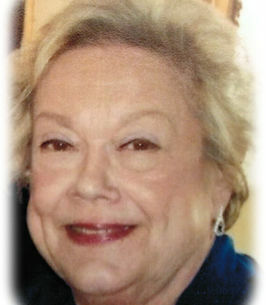 Diane E. Barbier of Warrington, formerly of Warminster, passed away on Friday April 5, 2019 at Pine Run Health Center in Doylestown. Diane was 75 years old. She was the wife of the late John R. Barbier who together shared 51 years of marriage. Diane was born in Philadelphia, and was the daughter of the late William and Marjorie Lawless. Diane was a graduate of Bishop McDevitt High School, class of 1961, which was the first graduating class from Bishop McDevitt. She went on to study nursing at Misericordia Hospital School of Nursing in Philadelphia. Diane enjoyed traveling with her husband John, and spending time with her family. She will be remembered as a loving Mother and doting Grandmother, whose personality always made people smile. Diane’s Funeral Mass will be celebrated at 11:00 AM on Wednesday, April 10, 2019 at St Robert Bellarmine Church, 856 Euclid Avenue, Warrington, PA., where the family will receive friends from 10:00am until the start of Mass. Interment will follow in St. John Neumann Cemetery. I knew your mom from St. Roberts H.O.P.E she was a sweet woman and always so very grateful for a ride to the Dr. Or grocery store. I am very sorry for your loss. I could not attend her funeral Mass but prayed for her at an earlier Mass and will continue to do so. I know she loved your dad very much and is no w reunited with him.